One of my images from a few years back is on the cover of this years Architecture Scotland Annual, taken on a project trip to Abu Dhabi, whilst working with Hypostyle Architects. The image is from a striking masterplan development for a New Town built in the desert. Closer to home some of my images have also featured in the latest edition of Urban Realm magazine. 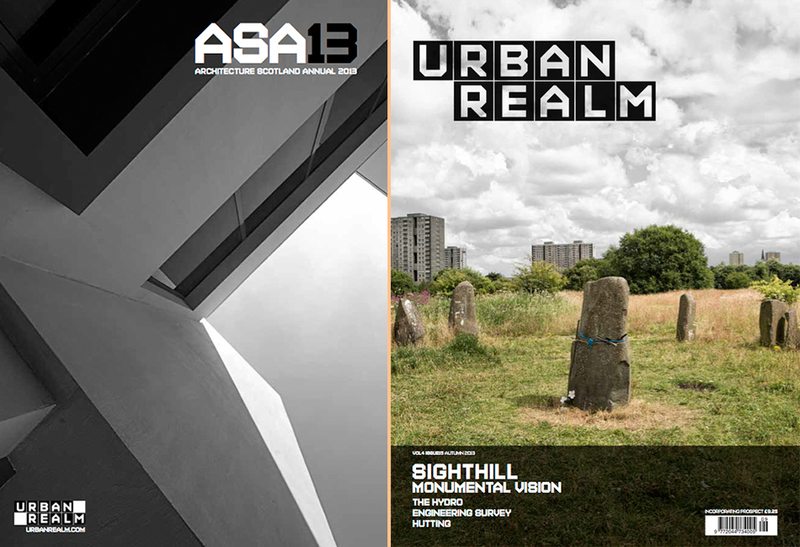 Plans to regenerate the Sighthill area of Glasgow look promising in connecting the area to the city centre & providing a new urban community, whilst ensuring public landscape & open areas remain. Building on open ground however is controversial in removing natural habitats, opposed to good practice recommending retention of park space. With a vast amount of Brownfield Sites within the city it is important to question the justification and environmental impact of building on open parkland, however much the scheme aims to create a new sustainable neighbourhood. Glasgow certainly seems to have a steady roll out of contested sites, where community opinions differ from the promoted developments of the Council. Urban Realm published a selection of my images documenting the current environment and including an image I put forward by a good friend Greg Neate, which captures the reality of conditions faced by many asylum seekers currently living in the area. My photostory features the threatened Stone Circle project undertaken in the 70s as the Glasgow Parks Astronomy Project & one of the 10 ‘Monuments That Move Me’ creative heritage projects. This entry was posted on Saturday, November 2nd, 2013 at 2:53 pm. 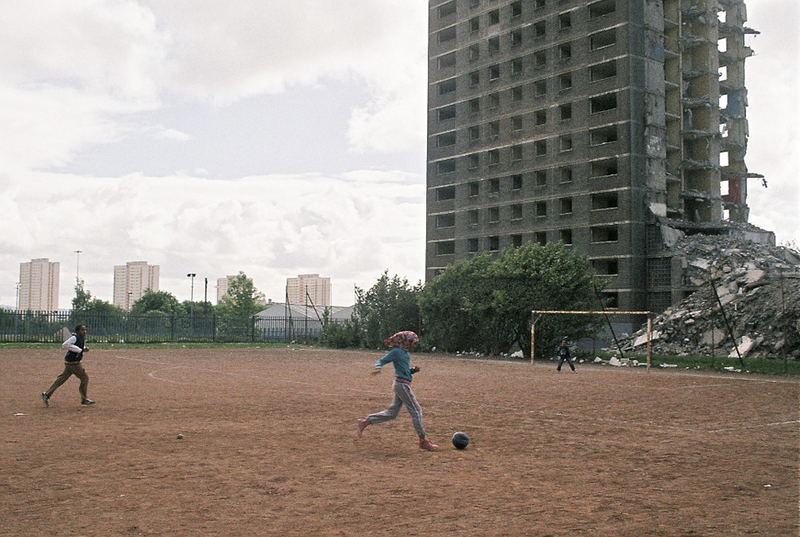 It is filed under NEWS and tagged with Architecture Photography, Architecture Photography Scotland, Architecture Scotland, Glasgow, Photojournalism, Scotland, Sighthill, Urban Realm, Urban Regeneration. You can follow any responses to this entry through the RSS 2.0 feed.